New Delhi: A network of Pakistani Twitter users have begun trending the hashtag #IamISPR in response to Facebook’s 1 April announcement that employees of the Inter-Services Public Relations (ISPR) department, the Pakistan military’s media wing, were behind fake accounts that fuelled “anti-India rhetoric”. Facebook has taken down 103 of these “pages, groups and accounts” that were operated by the staff of ISPR. The 103 include “24 pages across Facebook and Instagram, 57 Facebook accounts, seven groups and 15 Instagram accounts”. 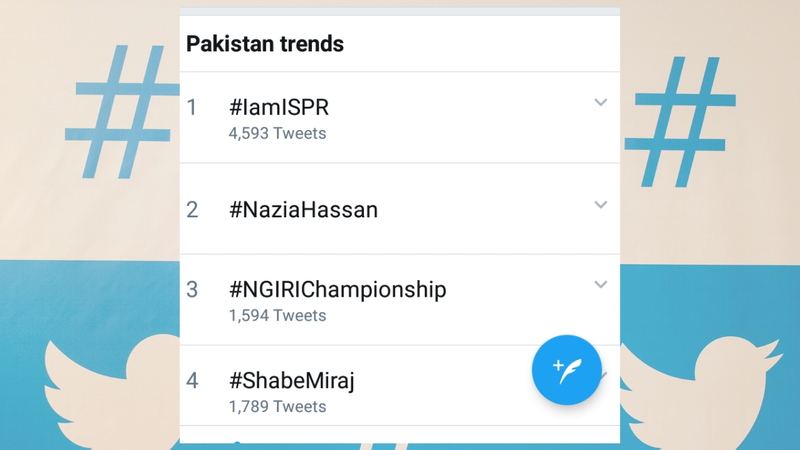 On Wednesday, in less than 30 minutes, between 12.16 pm and 12.43 pm, the hashtag #IamISPR was mentioned in over 370 tweets, jumping from being mentioned in 1,544 tweets to 1,915 tweets. The number of tweets with this hashtag was constantly picking up, with 4,593 tweets discussing it as of 3.22 pm Indian time. The hashtag is still trending at number one in the Pakistan region. A number of tweets in the trend backed ISPR while taking on Facebook. Other users slammed Facebook for its actions. As with the now-removed Facebook pages run by ISPR employees, there were other tweets aimed at the Indian armed forces. Many tweets featuring the hashtag “IamISPR” also were supportive of ISPR head Maj Gen Asif Ghafoor. Among the accounts were some that chose to post group or individual selfies taken with Maj Gen Ghafoor while some tweets credited Ghafoor with “defeating India”.